Nema Enclosures produces high quality rated standard electrical enclosures in wall-mount, free standing, floor mount, junction box and trough types. With more than 25 years in the custom enclosures business, our ability to manufacture a custom electrical enclosure is virtually limitless. 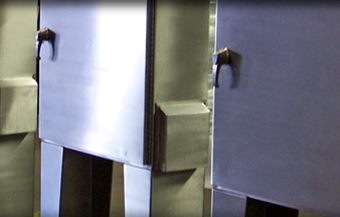 All powder coated carbon steel, 304 stainless steel, 316 stainless steel and aluminum electrical enclosures are designed and manufactured in compliance with NEMA standards; are UL listed, and/or IP rated. Nema Enclosures electrical enclosures are made with the highest quality materials and adhere to strict Nema Enclosures Quality Standards to ensure product performance and reliability. Nema Enclosures fabricates quality UL rated electrical and instrument enclosures to your exact specifications and that meet your lead times. We believe that by thinking about your enclosure needs while you’re configuring what goes into it will save you time, money and frustration. 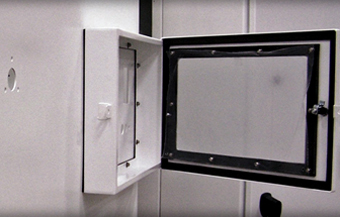 Wall-mounted electrical enclosures house components in areas that may be exposed to extremely wet environmental conditions. 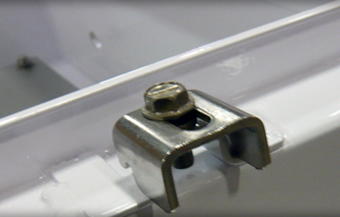 Standard wall mount tabs provide structural integrity to allow mounting on walls, unistrut frame or other similar structures. 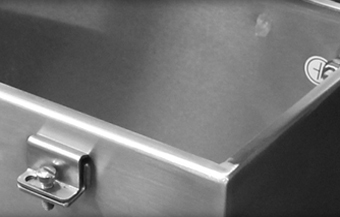 Junction box type electrical enclosures are designed and built meet JIC standards. This smaller enclosure is typically used for terminal block junction points in field applications. 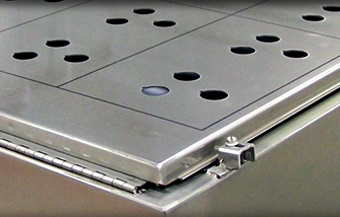 Floor mounted electrical enclosures are very adaptable and in demand for a variety of applications where large and heavy components are used. Floor mounting allows for bottom entry on concrete pads where the rating integrity is important. Free Standing electrical enclosures provide protection for systems incorporating large components or in complex mounting configurations. 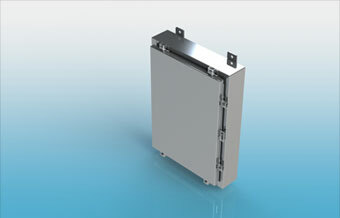 The standard 12" high welded mounting legs keep the main enclosure body off the floor. Trough type electrical enclosures or NEMA-rated wireways offer flexibility in a variety of uses including joining two large enclosures where heavy cabling is required and standard conduit isn’t large enough or practical.